If you were to ask me "What the best range is", I wouldn't be able to answer that question without asking you first, "How you would use the range?" For instance, do you need high output? Do you like to simmer? Do you roast or bake? Would you use steam or a warming drawer? Why buy a dual-fuel range? Dual fuel ranges are perceived to be the best of both worlds: a gas cooking surface with an electric oven. Electric ovens have an even and dry heat, ideal for baking. If you are looking for better output and simmer capability, look at induction. 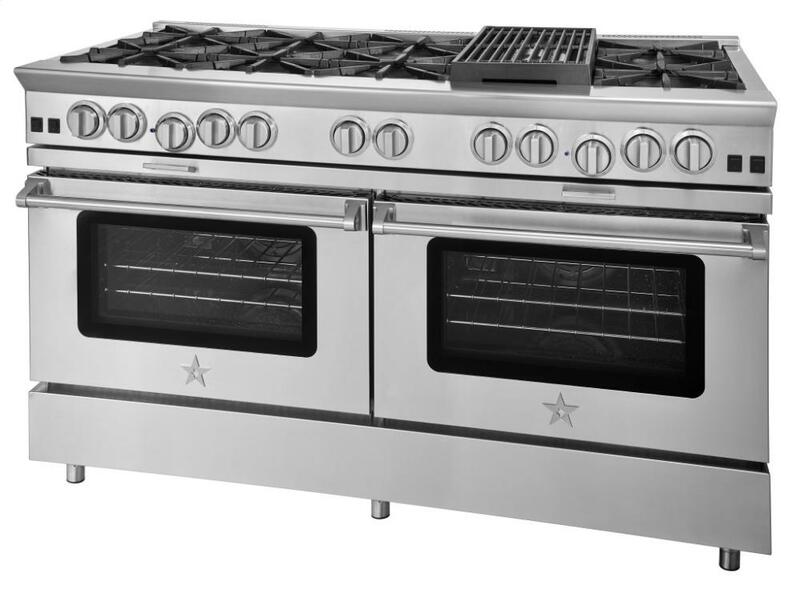 Dual fuel, however, has more sizes available with optional accessories like grills, griddles, and a French top. Dual fuel ranges will always offer self-cleaning feature whereas many professional gas ranges do not self-clean. If your priority is an accurate temperature, you will likely prefer a range with an electric oven. In the past, your decision would come down to oven capacity and burner power. Today, manufacturers are searching to find ways to differentiate themselves by incorporating really cool elements like steam, speed cooking, and warming drawers. Who makes the best dual fuel range? Thermador has the Star burner with good power and is raised from the surface for the easiest cleaning. You can also cook with steam and warm your foods properly with a warming drawer. On the other hand, Miele has steam assist (not a steam oven) along with an infrared grill and the best one-touch technology in the oven. Induction is the best cooking technology however they have been in Europe for about 20 years now. Induction uses a magnet to excite the molecules in your pan to heat your food. The pan is the cooking surface, not the ceramic glass top. Induction is extremely efficient meaning that there is very little residual heat loss relative to gas or radiant electric cooking. Induction is extremely fast, even faster than professional gas burners. Induction is easy to control and is very precise. It is also the safest cooking method. You cannot turn on an induction range by accident which is ideal for families with young children and multi-generational households. Four years ago, I noticed about 20-30% of high-end clients specify induction for their range. Today, it’s more like 40%. I am sure induction is the preferred cooking method for the future. Dual fuel gas has more choices for now, but induction is faster than even pro gas. 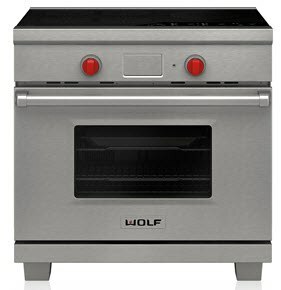 Wolf may have the best induction top and electric oven. The dual convection has two thermostats behind each fan for a more even temperature than other twin convection systems. What is a custom range? 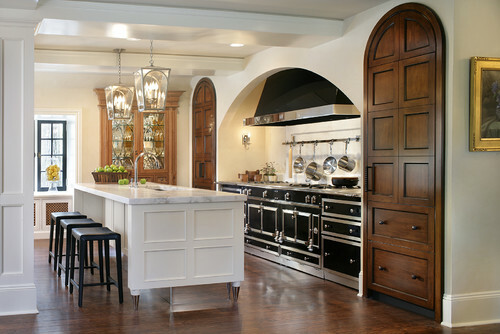 Custom ranges are made-to-order and give you a plethora of options in cooktop configuration, color, and trim. If you want to make your new range uniquely yours, there are a few companies that give you this level of flexibility. The best-known companies in this category are La Cornue, ILVE, BlueStar, LaCanche, and Viking. La Cornue is the leader in this category and gives you the greatest level of flexibility. La Cornue makes two levels of product, their US-made CornuFé line, and their French-made Chateau line. The CornuFé line is relatively affordable with fewer color, finish, and configuration options. The Chateau series' ranges are the best you can buy for customization and premium quality. If you want gas, induction, a French top, and a grill all together on the top, La Cornue is the only company to do so. There it is the best of what is offered in cooking. That does not mean it is the best for you (although it could be). You have to assess what is important to you and then buy the range best fulfilling those requirements. You want to be able enjoy and use the range to its fullest ability. Get our free Pro Cooking Buying Guide with tips, trends and reviews of all the best brands. Over 240,000 people have already found answers in a Yale guide.